Education is the core of our practice. The more you learn about good dental and periodontal health, the more you realize that the health of your mouth can drastically impact the rest of your body. Caring for your teeth and gums is more important than ever before. Our team wants you to understand your diagnosis, learn about all of your options, and be as comfortable as possible during your treatment. We also strive to give you the proper tools so that you can take an active role in your healthcare and, as a result, have a lifetime of good dental health. 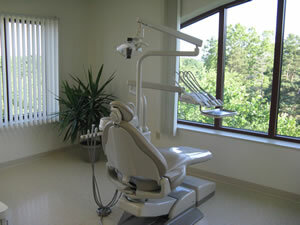 For many people, the thought of going to a dental office is very stressful. This can stem from many different things. Perhaps, they have had an experience where the doctor did not explain the diagnosis and treatment clearly or the office staff was not inviting. 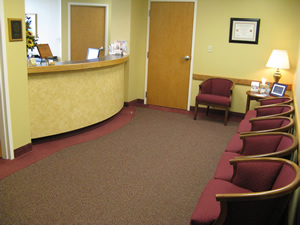 At Dr. Werkmeister’s office in Wexford, we recognize your concerns and do whatever we can to make your visit as informative and comfortable as possible. After a thorough evaluation and diagnosis, Dr. Werkmeister will share your custom-designed treatment plan with you. He will also review this plan with your general dentist. We believe that open communication with your general dentist will allow for optimal long-term care. Dr. Werkmeister will continue to work with you until everyone is confident that a stable result has been achieved. If you are looking for a periodontist near the Pittsburgh, North Hills, Wexford or Cranberry area, call his office today.